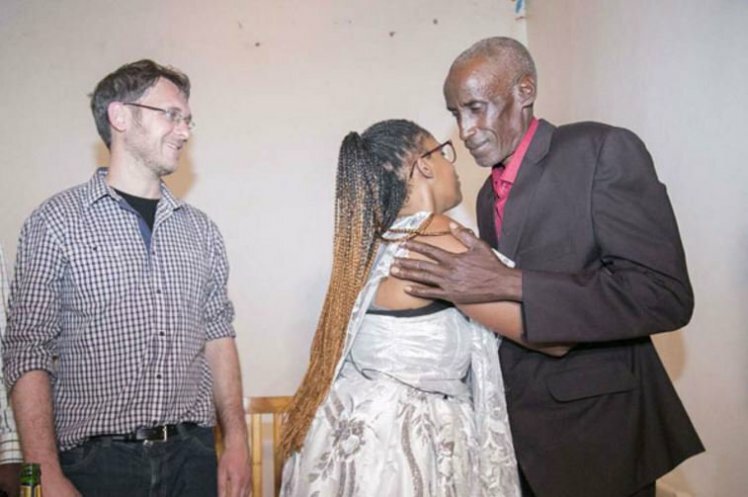 A father has finally been reunited with the daughter who was put up for adoption during Rwanda’s genocide. Jeanette Chaiapello was mistaken for an orphan when Rwanda was gripped by the horror of the genocide. Leonard Sebarinda, now 70, has now been reunited with his daughter 23 years after they were torn from one another’s lives. Jeanette (who was originally called Beata Nyirambabazi) was found alive among piles of bodies when she was just two-years-old. The youngster had been taken to church with her twin sister and brother by her mother, who thought they would be safe there. Her mum and siblings were killed when Hutu fighters threw grenades and spears, killing worshippers. Leonard was hiding in a different location with his three other, so he was separated from his young daughter. Vincent Twizeqimana, one of Jeanettes’s brothers set to work finding her a decade ago. She rejected his initial attempts, claiming she was an orphan and couldn’t be his sister. She later reached out to him over Facebook and a DNA test proved that they were family. Accompanied by her Italian husband, Jeanette visited surviving members of her birth family who welcomed her in a traditional ceremony. ‘It took me until I was an adult to start reflecting on my African roots and biological parents,’ she said. During the Rwanda genocide in 1994, dozens of children were sent to Europe for their own safety. 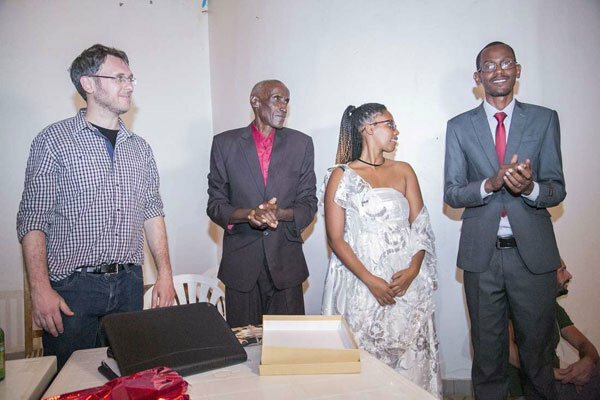 Three years later, 92 children were returned to Rwanda from Italy due to the intervention of the UN, though some stayed put despite personal appeals for their return.